Ishwara B. Bhat is a Professor of Electrical, Computer and Systems Engineering Department at RPI. He received his B.S.E.E. degree from Indian Institute of Technology, India and his M.S. and Ph.D. degrees from Electrical Engineering, Rensselaer Polytechnic Institute (RPI). Bhat joined Rensselaer in 1985 as a research associate and was promoted to full professor in 2000. He has published over 75 articles in refereed journals and edited several special issues of the Journal of Electronic Materials. 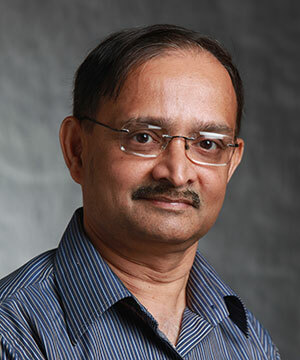 Bhat has served as a member of the program committee of several national and international conferences, including serving as co-chair of the 1996 and 2000 U.S. Workshop on the Physics and Chemistry of II-VI Materials held in Las Vegas, Nevada and Albuquerque, N.M., respectively. Bhat has over 20 years of experience in epitaxial growth and characterization of several II-VI, III-V, and IV-IV semiconductors. His work includes growth of wide band gap semiconductors (such as GaN, SiC, and ZnSe) and narrow band semiconductors (such as HgCdTe and InGaSb). His current research is focused on the growth of silicon carbide epitaxial films for use in high-power, high-temperature, and high-voltage devices, including Texas Instruments and others.